If you are looking for something special you are in the right place. We pride ourselves in a personal service and have a wide range of ideas to help you find that perfect gift. We will hand write your message and deliver with your basket to its destination. At Wickers our Gift Baskets and Hampers are delivered and personally created for you for all occasions. Established in 1984 we have built our reputation on outstanding quality and a bespoke service. We hand pick the highest quality products from mainly British companies. Stock can vary as we like to source different products from time to time. Contents may not be identical to those photographed but they will always be to the same or better value, and of excellent quality. Our 'In House' Champagnes and wines are individually selected by our supplier directly from the vineyards and families who own them. You will never find these exceptional wines in a supermarket. Our clients vary from those in the Music, Media and Management industries to Corporate and individual customers. No order is too small. We value all our customers equally some of whom have been with us from the beginning. To order call 020 8567 4745 or use our secure on line facility. For bespoke baskets, please call us. We would like to talk to you. 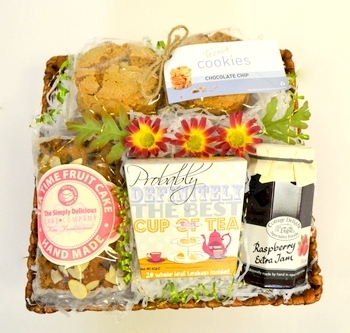 We provide a wide range of gift ideas beautifully presented in wicker baskets and hampers. We deliver all over UK on next day service. Same day service in London and destinations worldwide. Wickers Gift Basket is the besket from any other world. you can order them your best bespoke gift basket and you will actually feel that the order recieved will be as mached as you have picked from a shop. Truely dedicatyed guys. The variety of gifts and baskets is good. You can choose from different combinations. For a special occasion I bought a nice bottle of vodka, vermouth and olives. My boyfriend, who then had a birthday, enjoyed the present a lot. All gift sets seem to me really stylish and beautifully wrapped. Although most of them are kind of expensive for me, I recommend this place because you can find easily the right gift.